Collins Booksellers - Animal Horror Cinema by Katarina Gregersdotter, Johan Höglund & Nicklas Hållén, 9781137496409. Buy this book online. The first academic study of the genre of animal horror cinema is essential for cinema and animal studies scholars as well as for fans of horror film. It defines this popular sub-genre, outlines its history and studies recent films as well as cult classics from a variety of perspectives. A central idea in the book is that animal horror cinema mirrors socially entrenched fears of and attitudes toward animals. Thus, animal horror cinema reveals attitudes toward the fabric of social life, the fragility of the eco-system and a deep uncertainty about what makes humans different from animals. 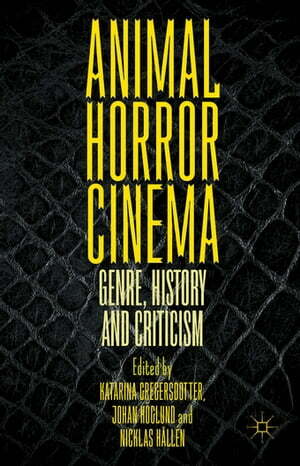 The book contains chapters by scholars with different national and disciplinary backgrounds, and therefore offers a wide range of interpretations on the significance of the animal in modern horror film.